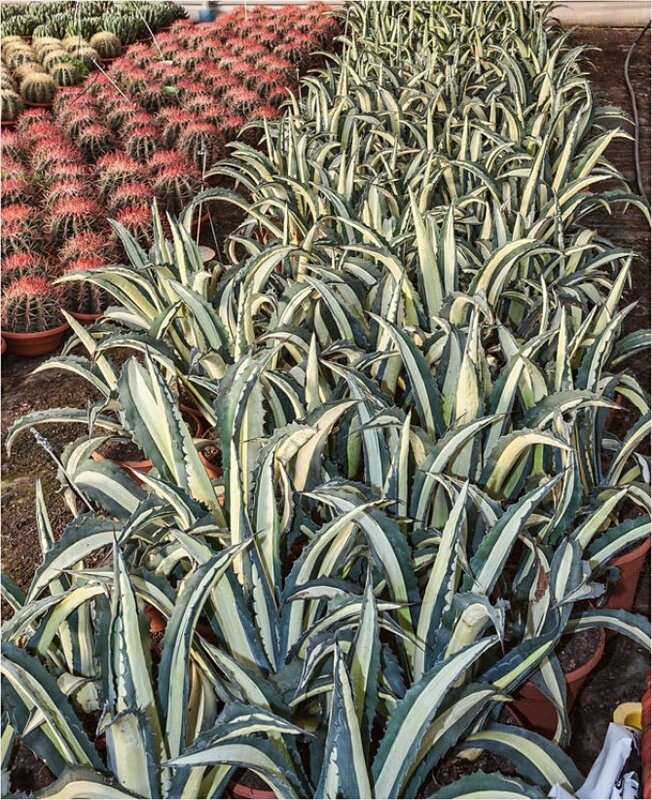 Cacti, aloes and agaves, with their intricate leaf patterns, can be used for a lower level display when set against a background of palms, olive trees, etc., to create a superb Mediterranean or desert ambience. 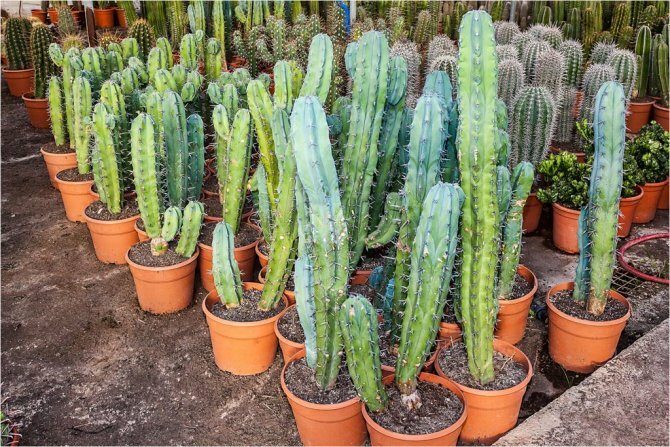 Construct individual gardens, using cacti, aloes or agaves, interspersed with rocks, on beds of different coloured sand and gravel to establish easy to manage, yet eye-catching, features. 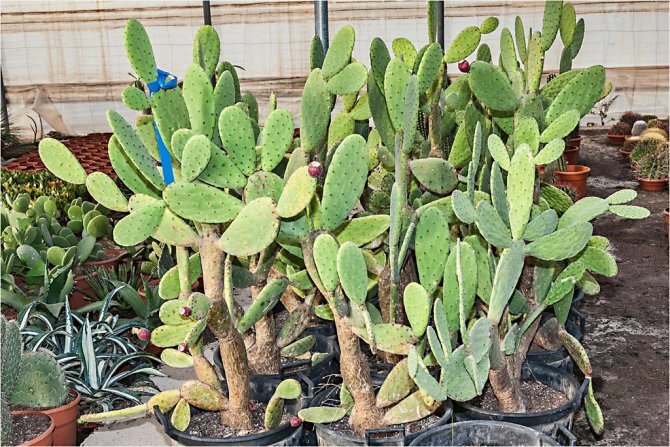 It is cultivated worldwide as an ornamental plant. 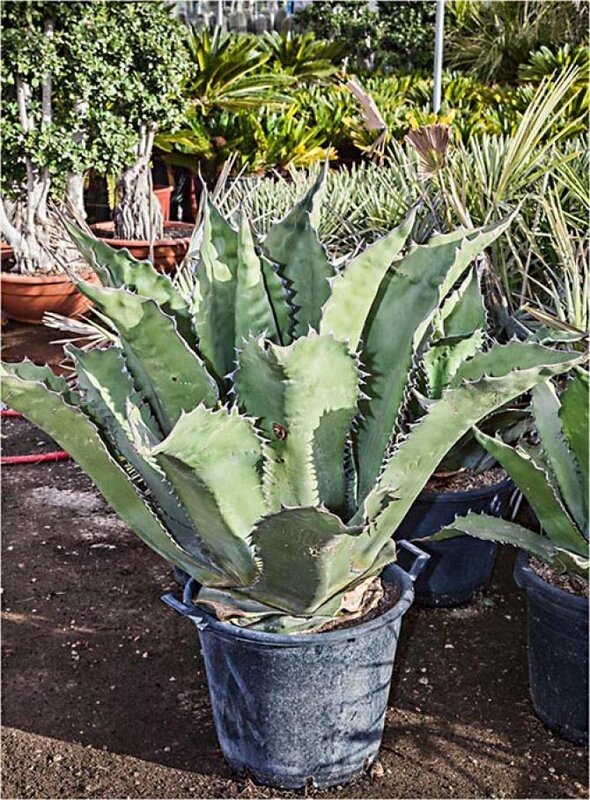 A medium to smaller growing form of Agave americana. 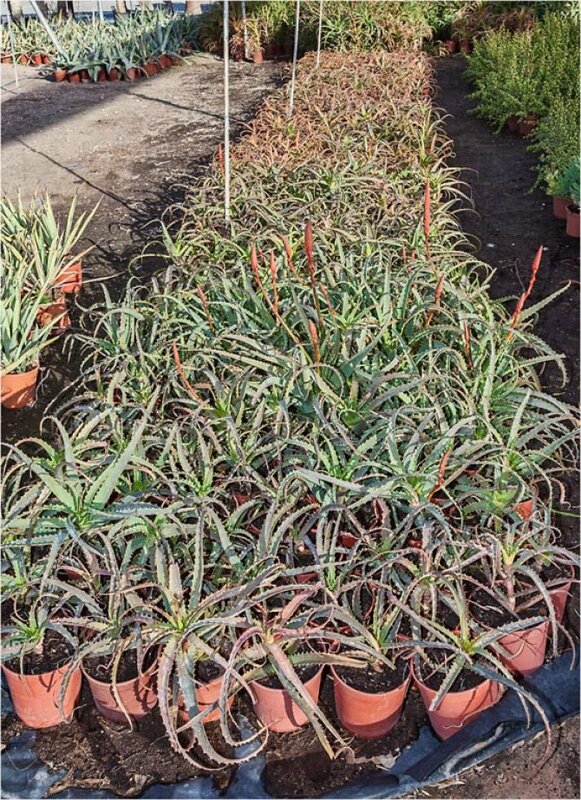 1.5 metre tall rosettes of spiny-edged, grey/green leaves. The stems typically range from 50 to 150 centimetres (20 - 60 inches) in length, and eventually old leaves fall off, leaving the stems visible. 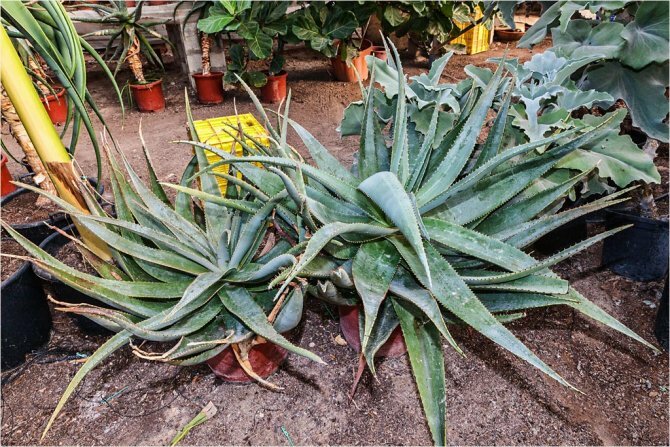 Agave horrida - A small rosette-forming succulent to 30 - 45 centimetres (12 - 18 inches) tall with dark green leaves and large dark spines on the leaf margins. 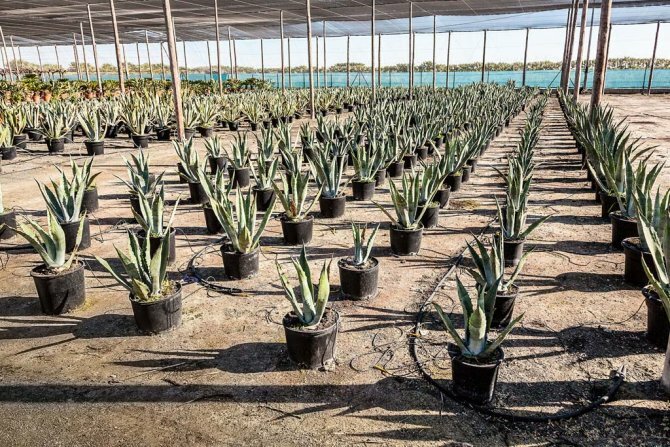 Agave montana grows solitary. 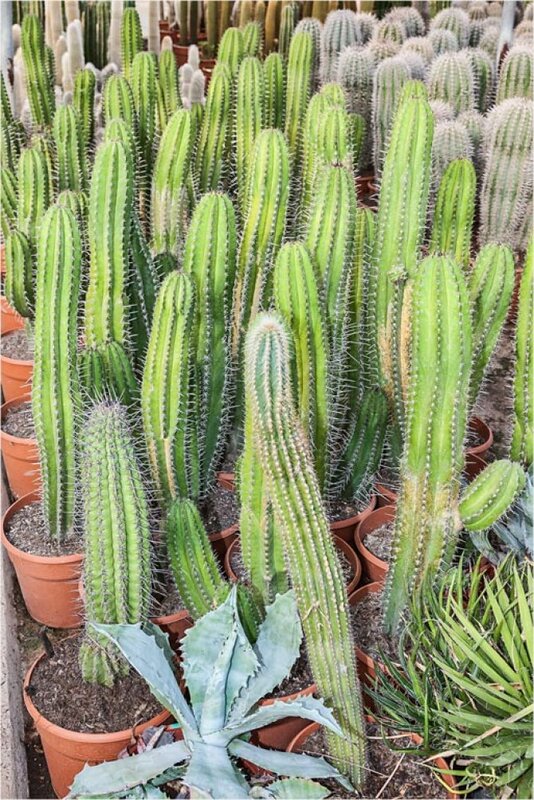 It has yellow to green colored, elliptical, variably arranged leaves. 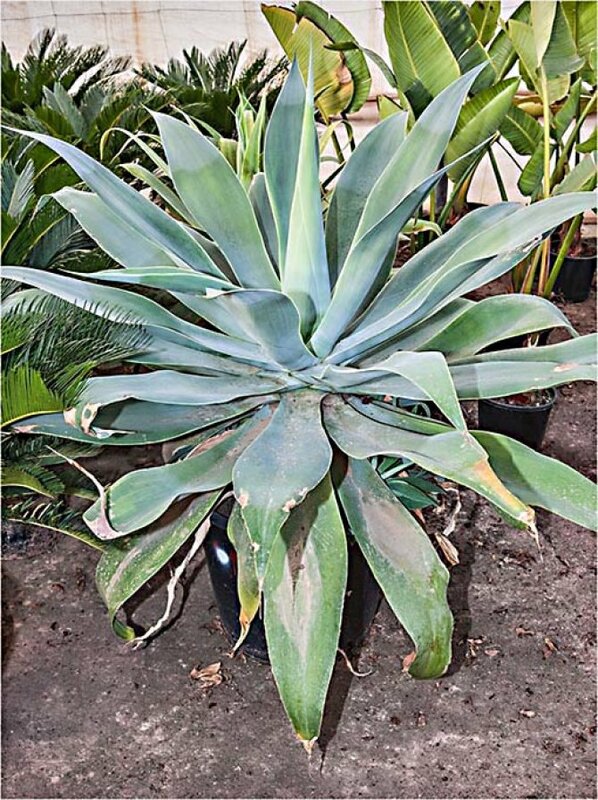 This stunning agave has a bold silhouette and wide, powder-blue leaves. It forms a slightly flattened rosette, and the leaves have a pronounced groove or gutter on the upper surface. 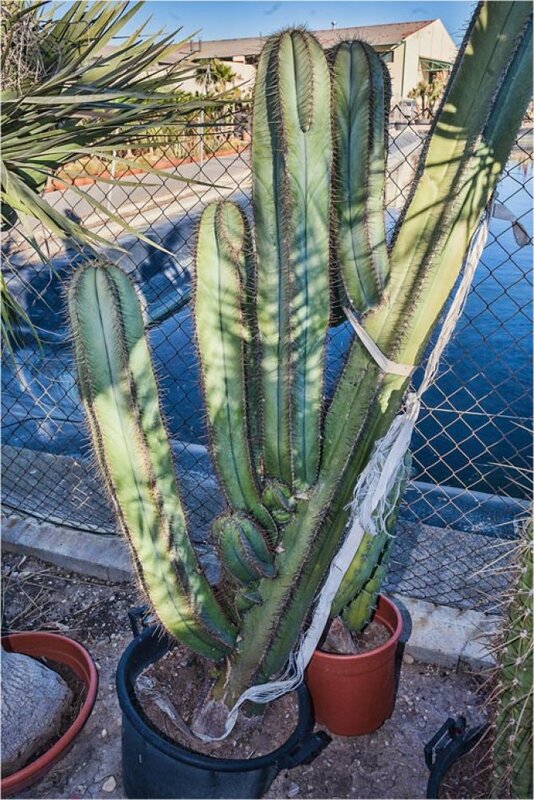 A branched flower stalk to 5.5 metres (18 feet) tall forming a tight symmetrical rosette of wide blue/grey leaves and has clusters of light green flowers . 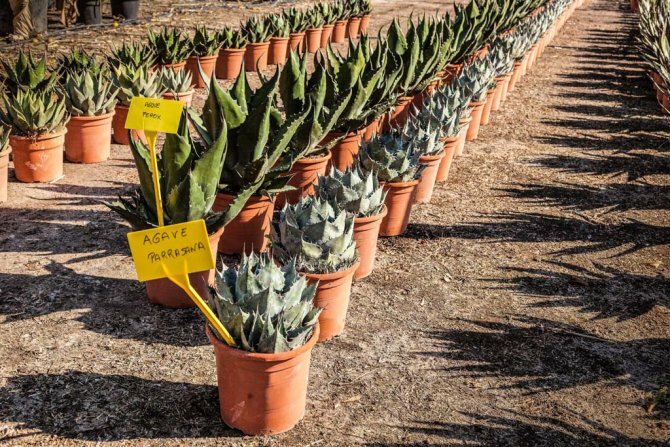 Agave Salmiana Var. 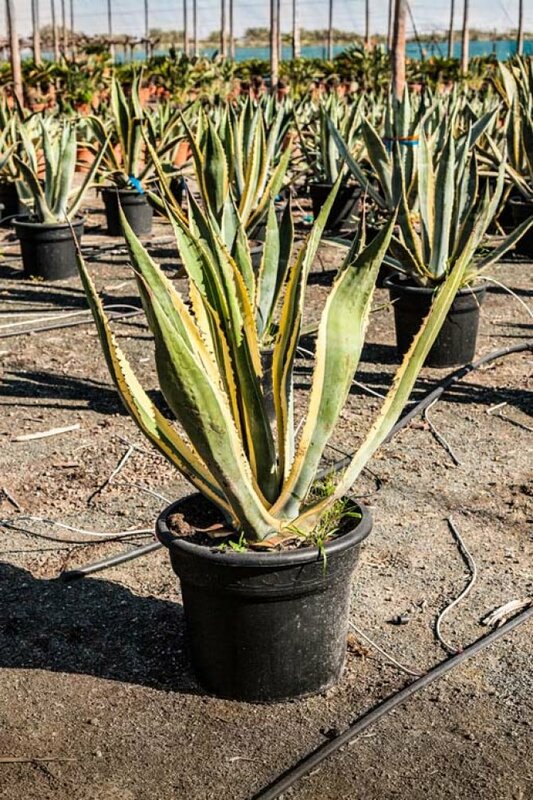 Ferox 'Green Goblet' - A selection of Agave Salmiana Var. 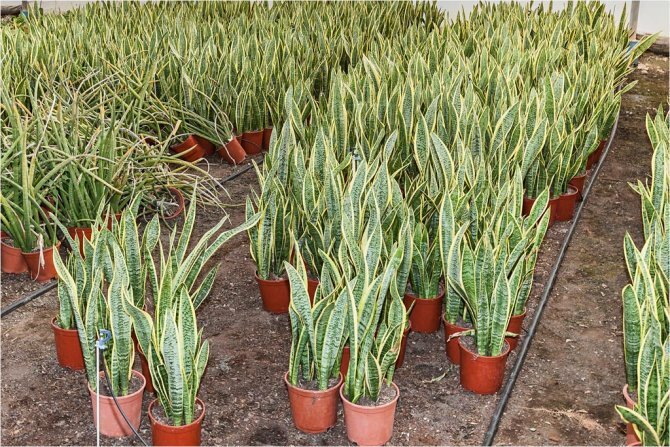 Ferox that grows to 1.2 metres (4 feet) tall by 1.5 metres (5 feet) wide with wide dark green leaves that are slightly bluish at their base. 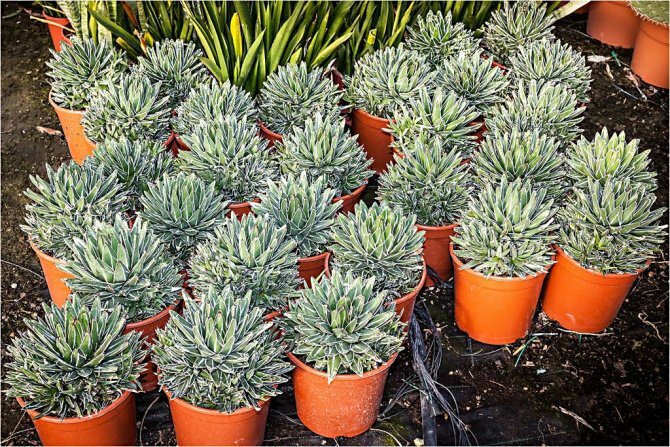 A small species of succulent flowering perennial plant, noted for its streaks of white on sculptured geometrical leaves. An attractive plant which flowers beautifully. Flowering time is from winter to early spring. 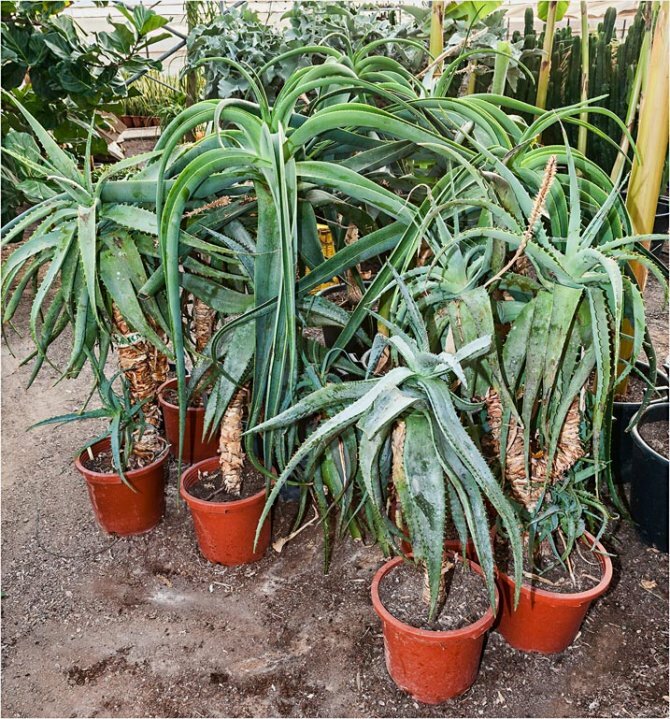 Aloe arborescens is a large multi-headed sprawling succulent, its specific name indicating that it sometimes reaches tree size. 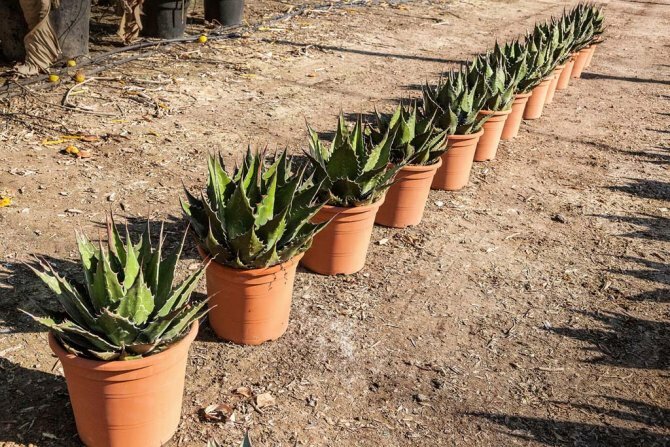 A large, single-stemmed Southern African aloe of rocky places and open flat country, occasionally growing to 6 metres tall, this species in full flower presents a magnificent spectacle. 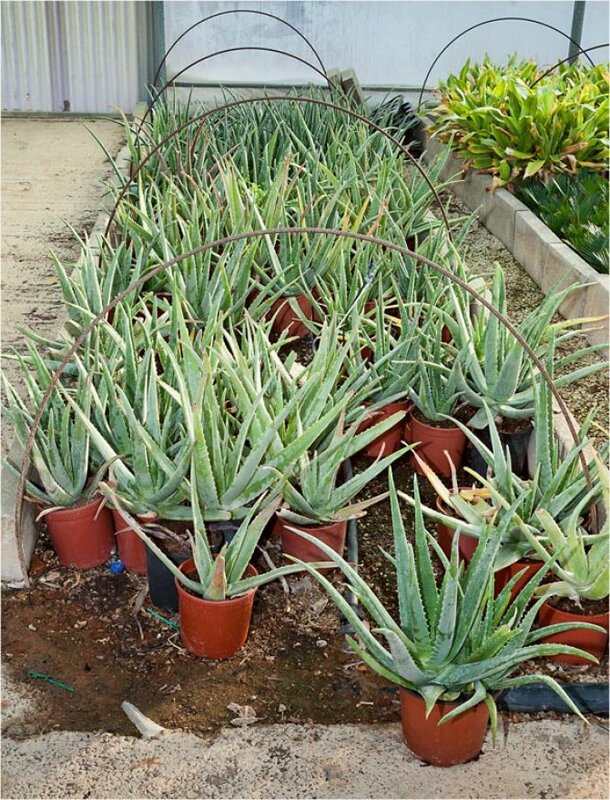 A succulent plant species that is found only in cultivation, having no naturally occurring populations, although closely related aloes do occur in northern Africa. 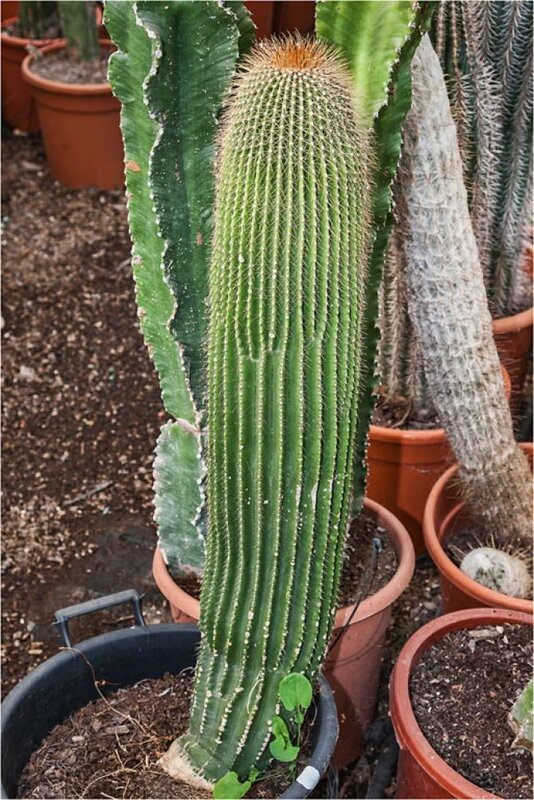 Its slender, erect, grey/green columns can reach a height of 3 metres (10 feet), but are only about 6 centimetres (2.5 inches) across. The columns are formed from around 25 ribs and are densely covered with areoles. It is rare and critically endangered in the wild. Small yellow flowers appear in summer around the crown of the plant, but only after twenty years or so. 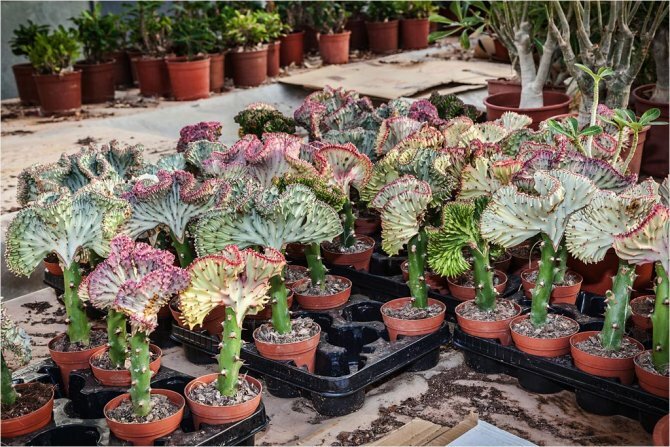 Euphorbia ingens is a species of plant in the genus Euphorbia and the family Euphorbiaceae. 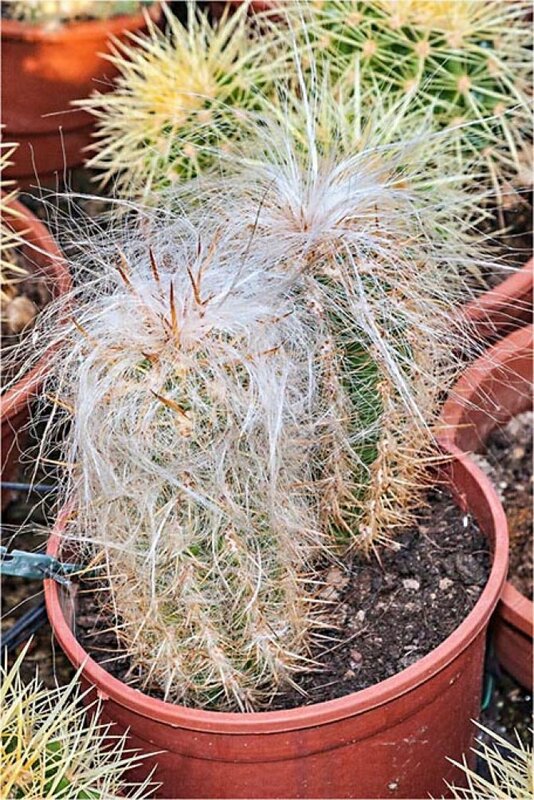 It is native to dry areas of southern Africa. 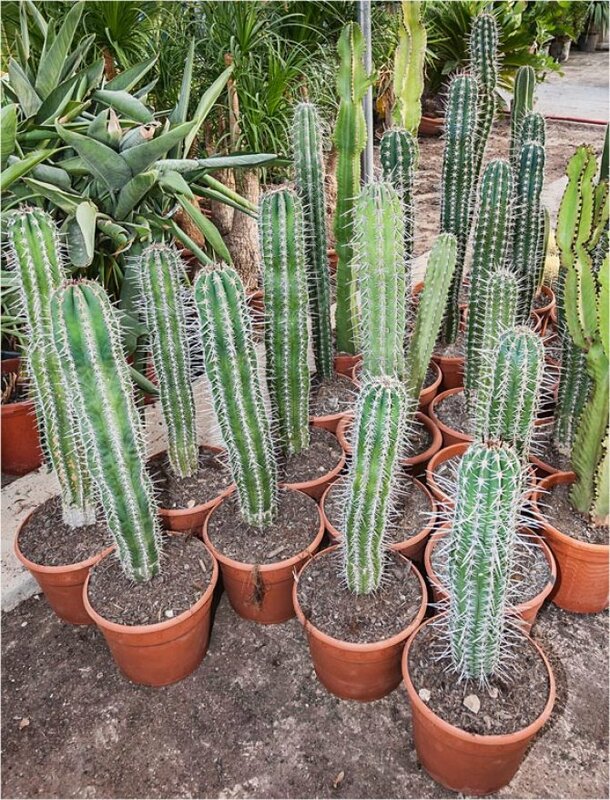 It is an erect shrub growing up to 5 metres tall, with succulent branches 3 – 5 centimetres diameter, ridged, with a triangular or rhombic cross-section. 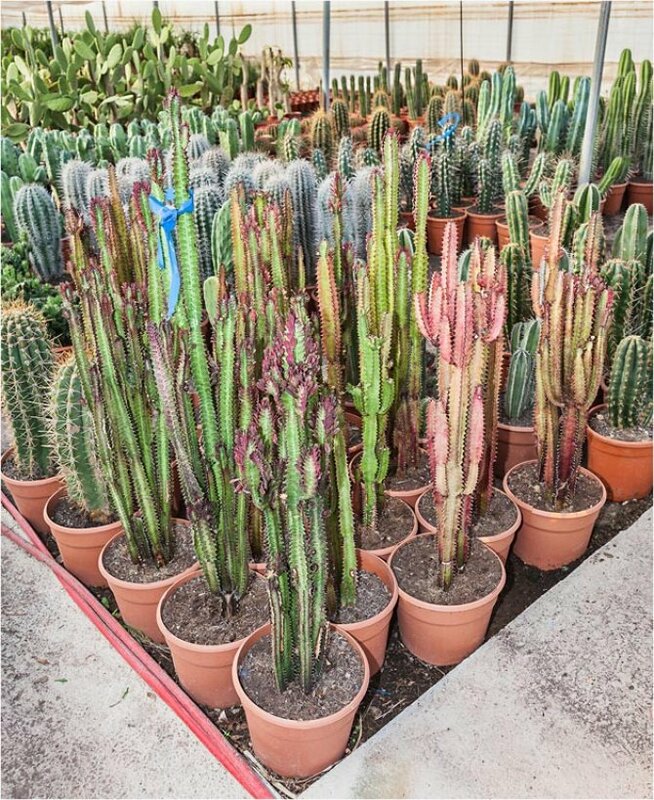 This cactus has an upright stem that is branched into three or four sides. The stem itself is dark green with V-shaped light green patterns. 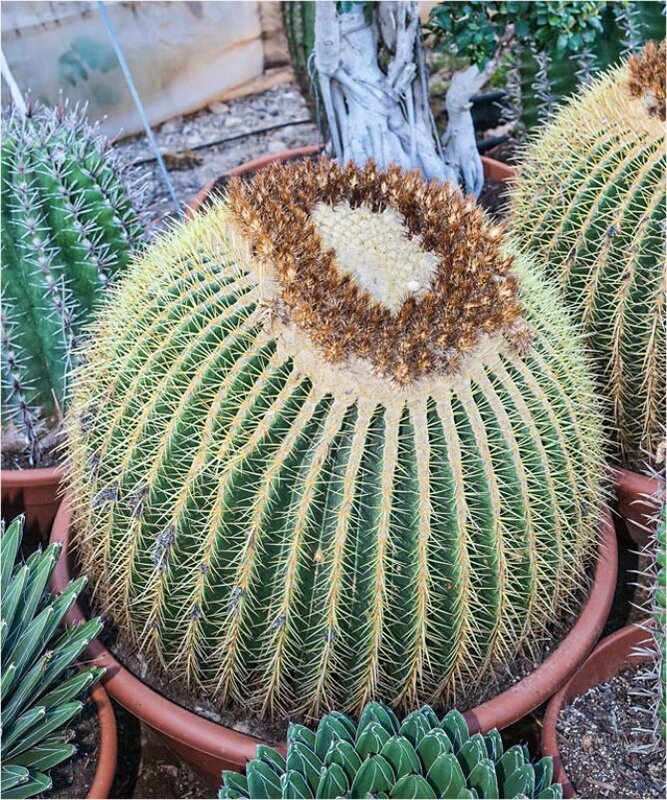 Ferocactus robustus forms large cushions reaching a height up to 100 centimetres (39 inches) and a diameter up to 5 metres (16 feet). The young specimens are columnar but as they grow older ribs form and they take on a barrel form. 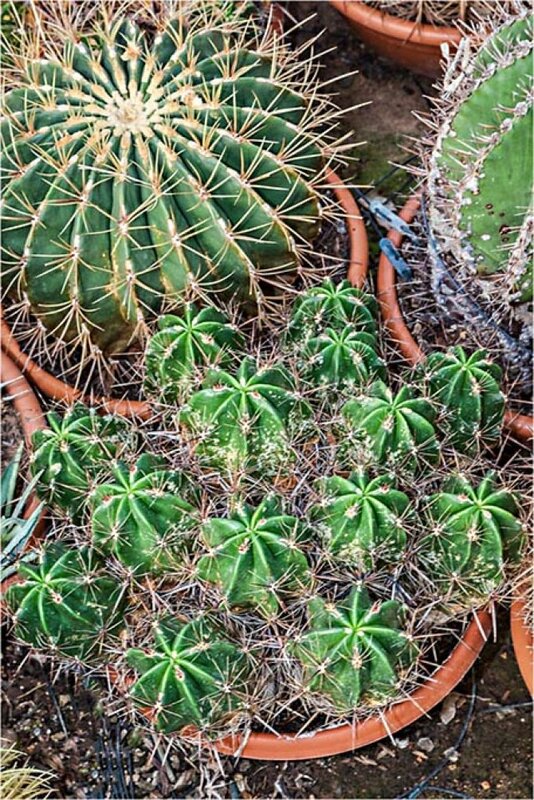 Leafy succulent, often with five-parted, radial, symmetrical flowers. 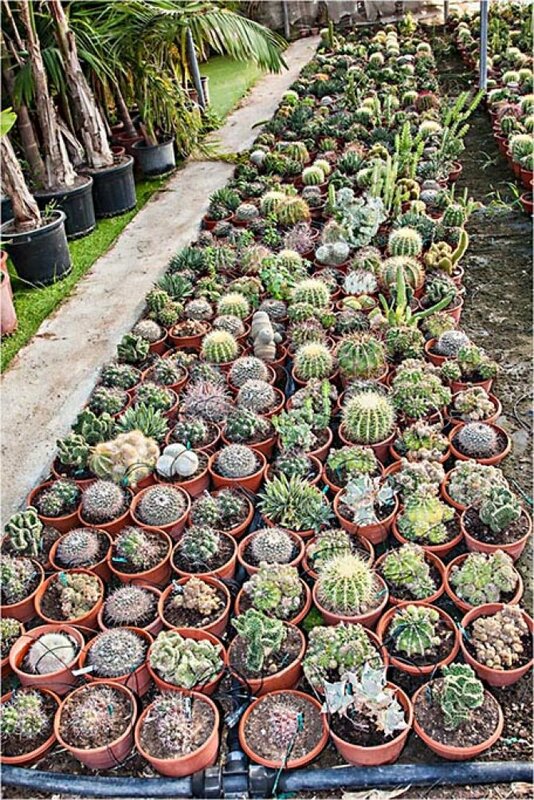 It is a rapid growing species that will form large clumps. Reddish purple flowers are borne in Spring and Summer, sometimes forming a complete ring around the apex of the plant. 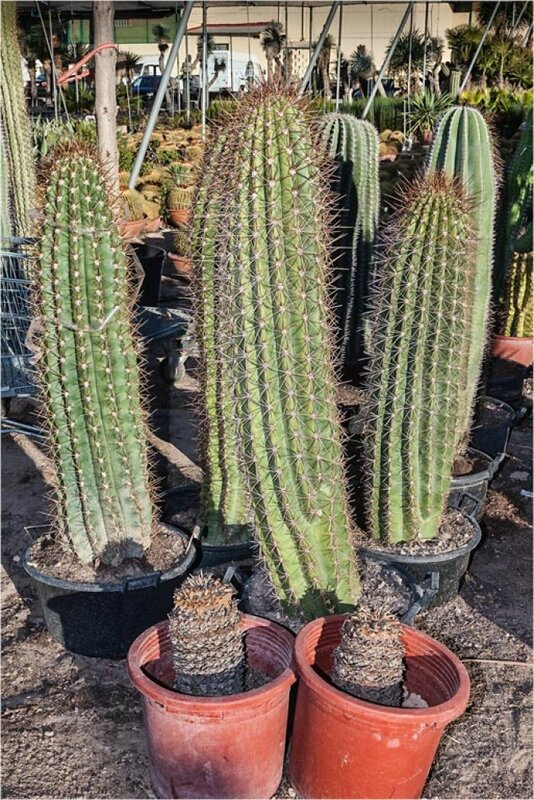 A large shrubby cactus growing to 4 – 5 metres tall, with candelabra-like branching on mature plants. 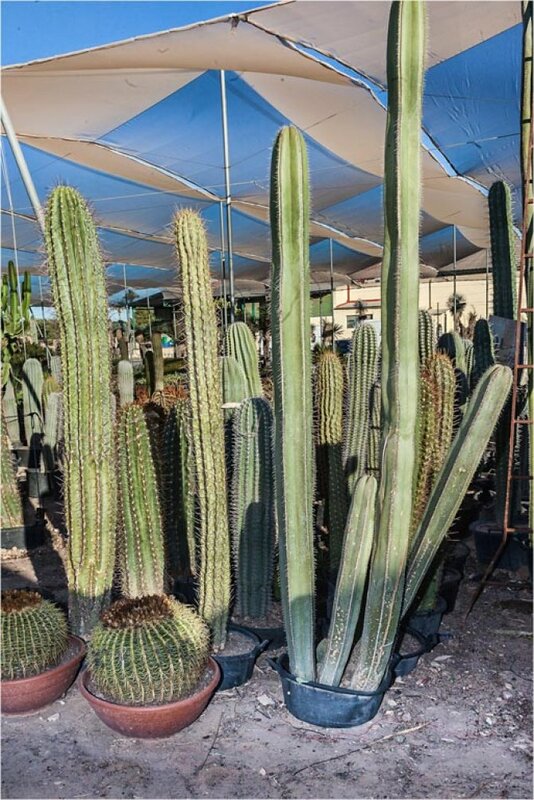 Neobuxbaumia polylopha is naturally found only in Mexico. 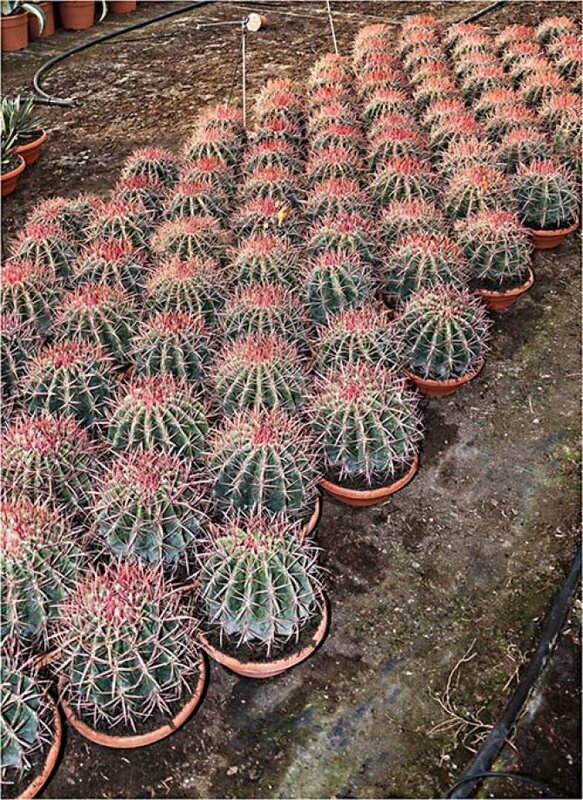 It is popular among cactus enthusiasts and reproduces well in nurseries. 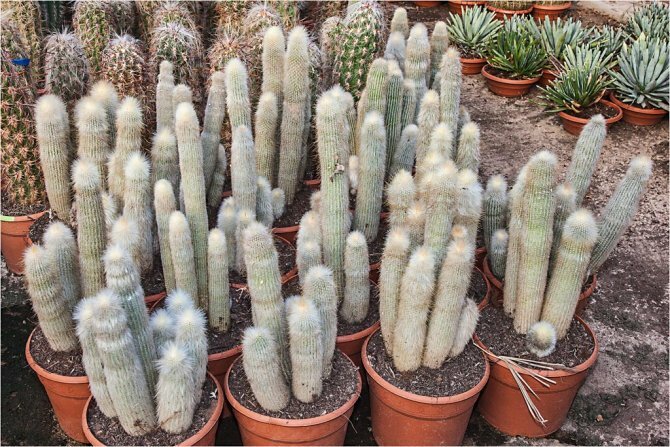 Oreocereus trollii, native to mountains of South America, forms clumping clusters of chunky columns up to 60 centimetres (2 feet) in height. 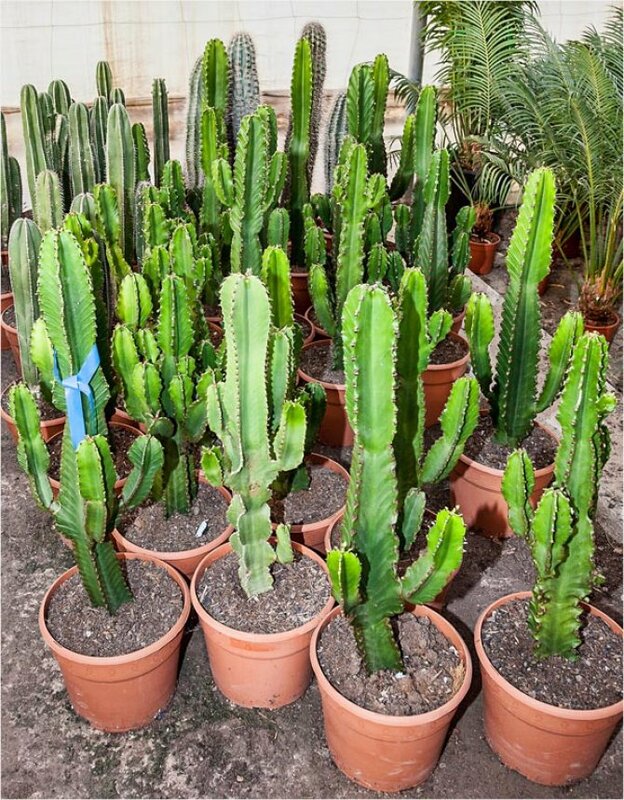 A columnar cactus tree native to Mexico. 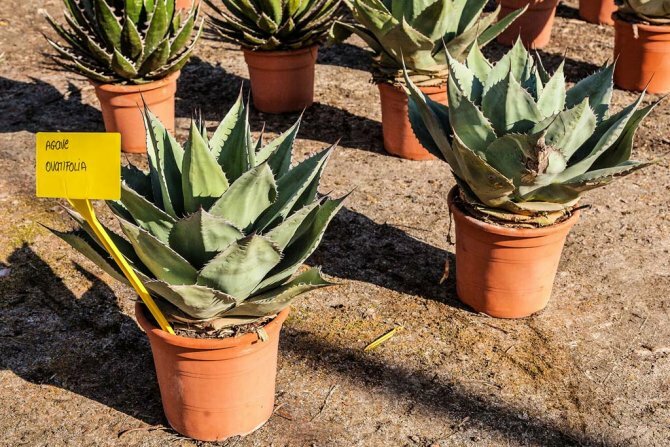 The plant is leafless and can grow up to 15 metres high. 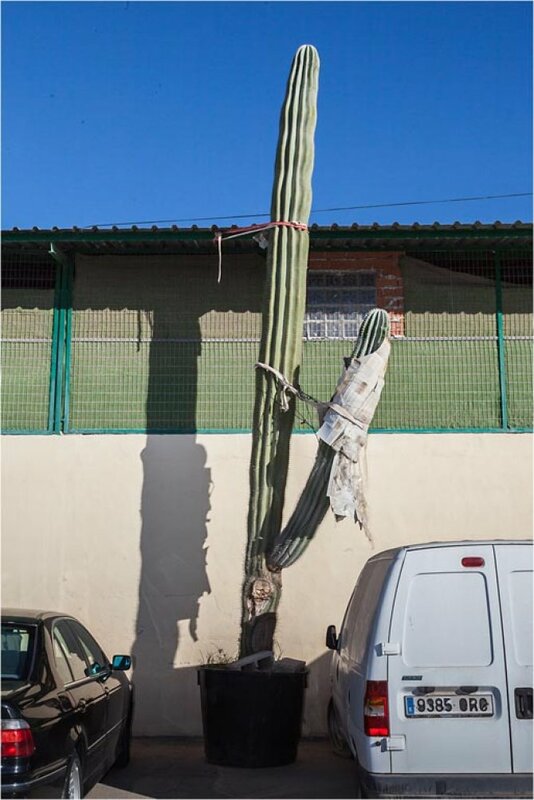 A tall growing cactus. Can reach 21 metres. 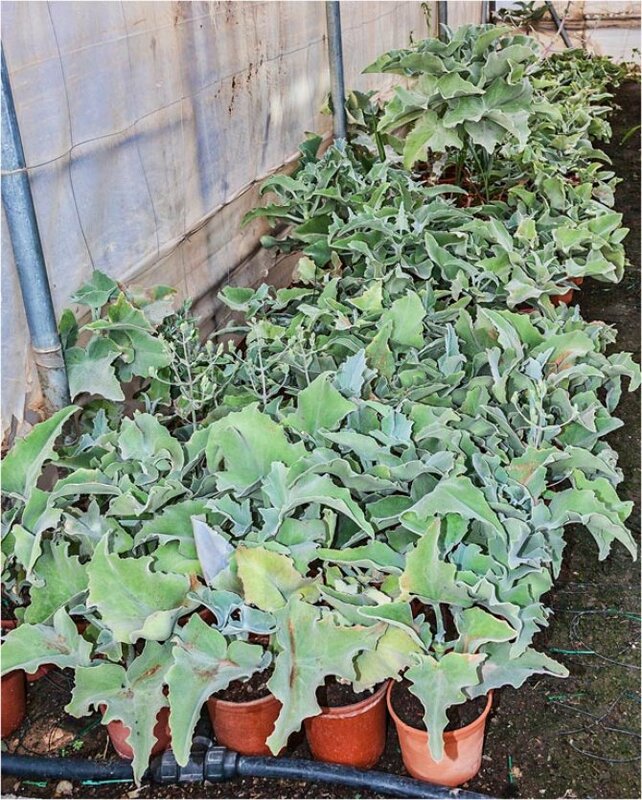 Polaskia grow slowly and are cold intolerant. Make sure that they are not exposed to freezing temperatures. 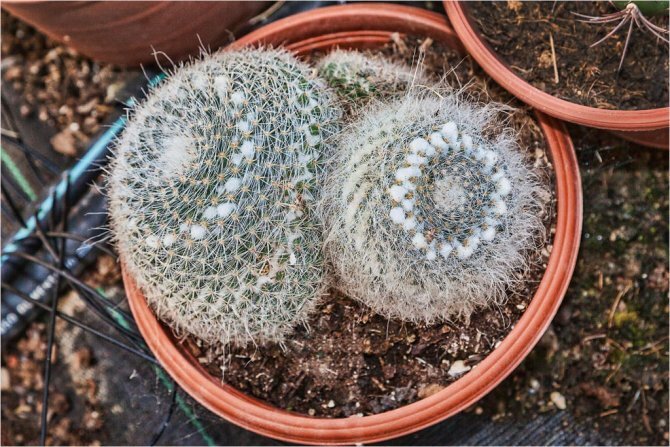 Very much an ornamental plant, indoors or outdoors. Its stiff leaves grow vertically from a basal rosette. 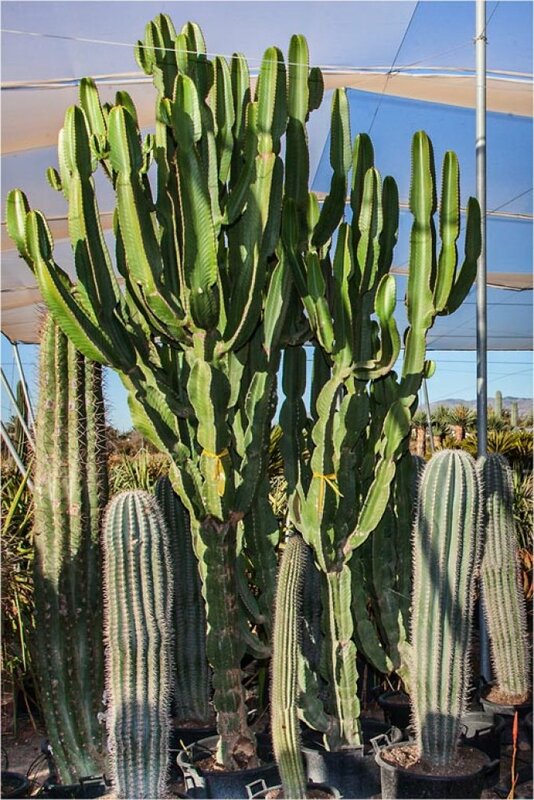 This giant cactus gets its name pasacana from the local name of its edible fruit, 3 centimetres (1.2 inches) in diameter. 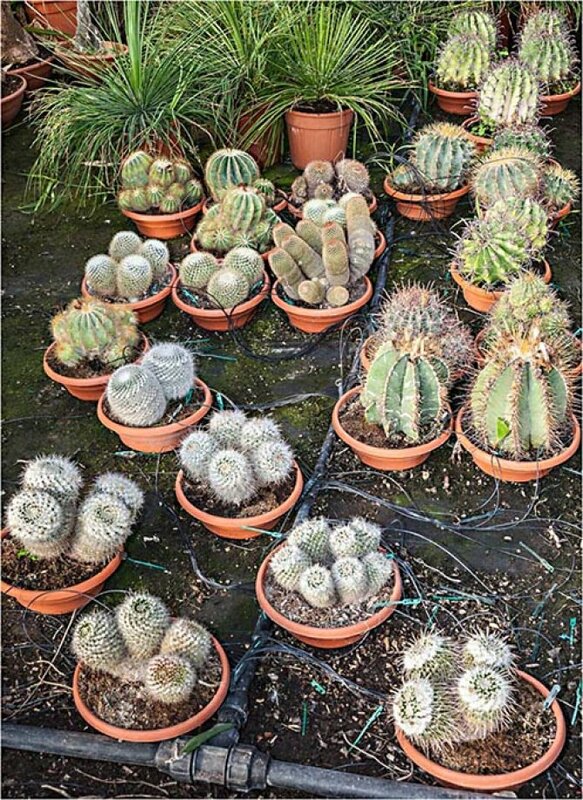 For customers who wish to order quantities of smaller, mixed pots, view the photos for a guide to what we offer.